A new study shows that a warming climate in the North Atlantic region led to a cooling in East Asia about 12,000 years ago. 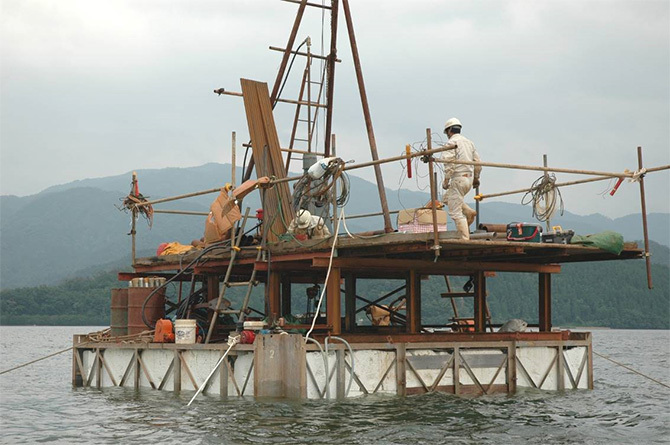 This surprising finding is based on the analysis of sediments from the Japanese Lake, Suigetsu, by an international research team. The leading authors of this study were Dr. Gordon Schlolaut, from the Japan Agency for Marine-Earth Science and Technology (JAMSTEC: Asahiko Taira, President) and Prof. Takeshi Nakagawa, from Ritsumeikan University. 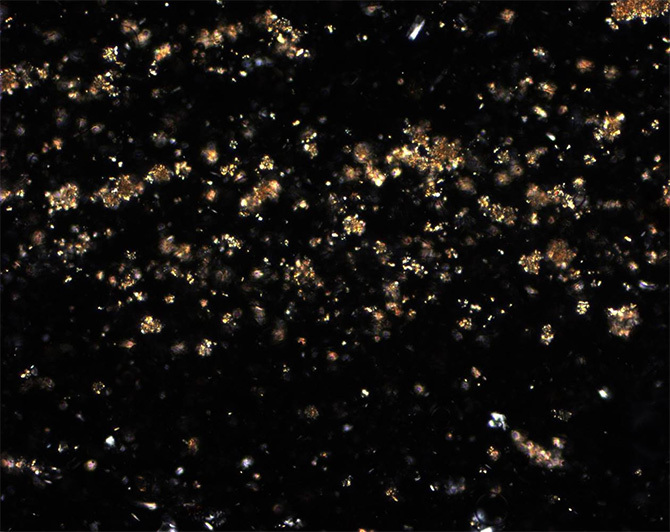 These researchers investigated sediment samples from the Younger Dryas Stadial – a period of cold climate between 12,800 and 11,600 years ago. 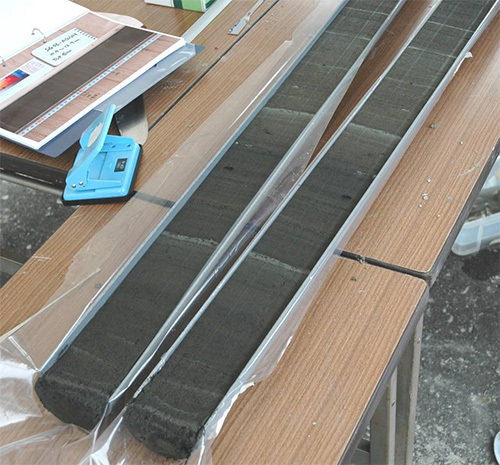 To reconstruct the changes in temperature, precipitation, and wind, they analysed different components of the sediment such as pollen, algae, and minerals. The results show that the Younger Dryas Stadial can actually be divided into two phases, with the second phase being colder and windier with heavier snowfall. Evidences of this two phase character of the Younger Dryas Stadial can also be found in the North Atlantic region. The two phases can be observed from European lake sediments, marine sediments from the Atlantic Ocean and ice cores from Greenland. However, the archives show that warming rather than cooling occurred in the second phase of Younger Dryas Stadial in the North Atlantic region. The authors of the new study argue that the changes in snow cover were most probably responsible for such a contrasting climate evolution between the two regions. The warmer conditions in Europe were associated with a northward shift of the polar front and the westerlies. Thus, more moisture was transported to Asia, which led to the development of a thicker snow cover. This, in turn, affected the East Asian Monsoon system, leading to a weakening of the summer monsoon and a strengthening of the winter monsoon. This is how a warmer North Atlantic led to a cooler East Asia. The results of the new study show how complex and counter-intuitive the interdependencies of regional climatic changes can be. They also provide a specific testing ground for climate models, since an accurate reproduction of the past events is necessary to reliably estimate future changes. The above results were published in the Scientific Reports on March 31, 2017 (JST). Figure 1. 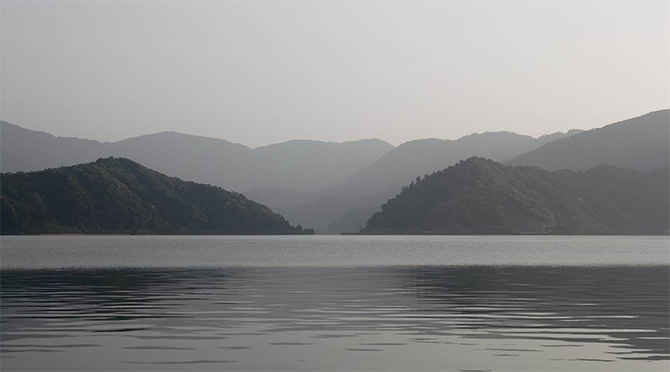 Lake Suigetsu in Fukui Prefecture, Japan. Here, a varve chronology going back over 70,000 years has been established. Figure 4. Iron carbonate observed by microscope. Minerals collected in the lake provide informtaion on how lake changes as time passes. Figure 5. 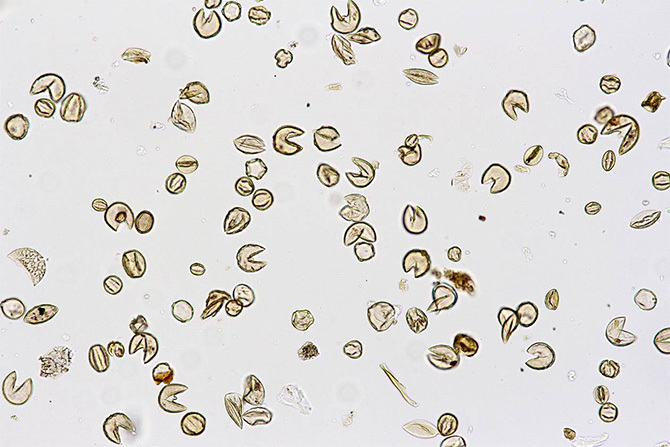 Pollen provides information on temperature and precipitation. Vegetaion around the lake changes as time passes.